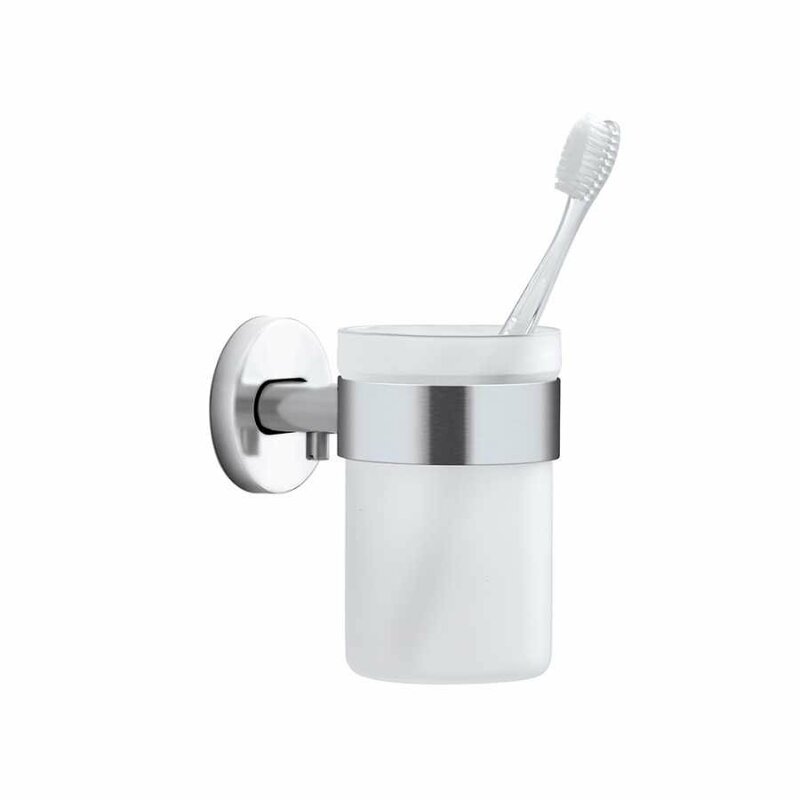 Adding the convenience of a shelf without the need for one, the Areo Wall Mounted Toothbrush Holder provides a fairly simple yet ingenious function in your bathroom. Without the need for a platform or any clutter on your counters or surfaces, the Areo Wall Mounted Toothbrush Holder can be fixed wherever you need. The Areo Collection makes it easy to coordinate every piece in your bathroom accessory range if you wish and adds convenience to many standard accessories in your room. The Areo Wall Mounted Toothbrush Holder by Blomus comprises of a simple glass beaker and an elegant stainless steel holder. The holder can be in a matte or polished finish and the glass is in a frosted finish, adding to the surprising elegance of the piece. The fixing kit required to mount the holder is also provided and each individual Areo Wall Mounted Toothbrush Holder measures 11.5cm in height, 7cm in diameter and has a projection of 11.5cm. The highest quality stainless steel is used, as you will find in all Blomus pieces.